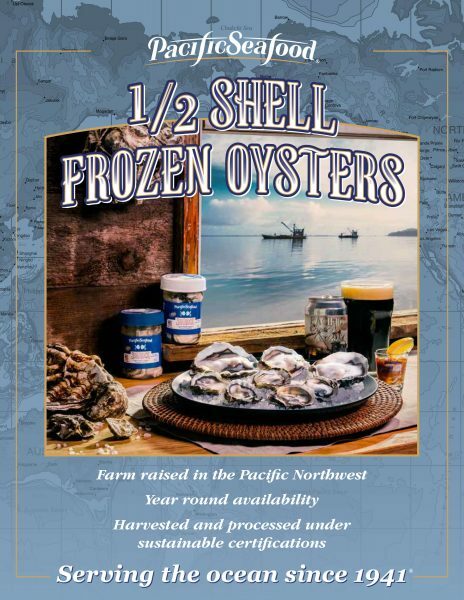 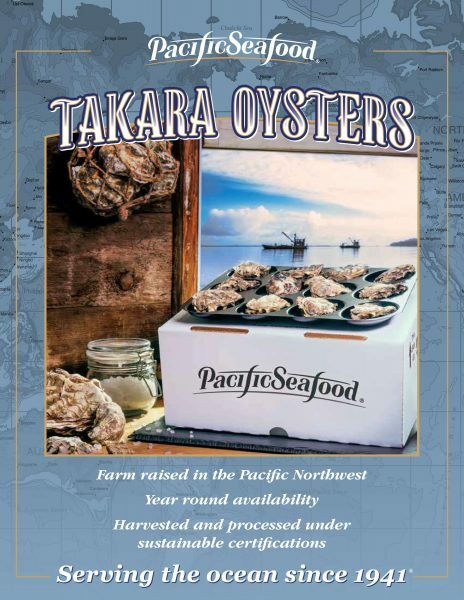 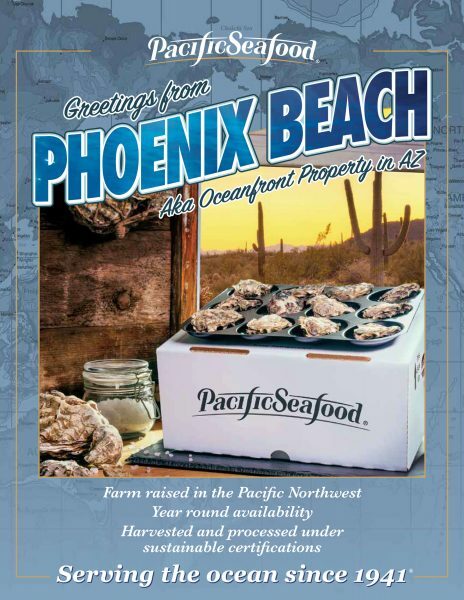 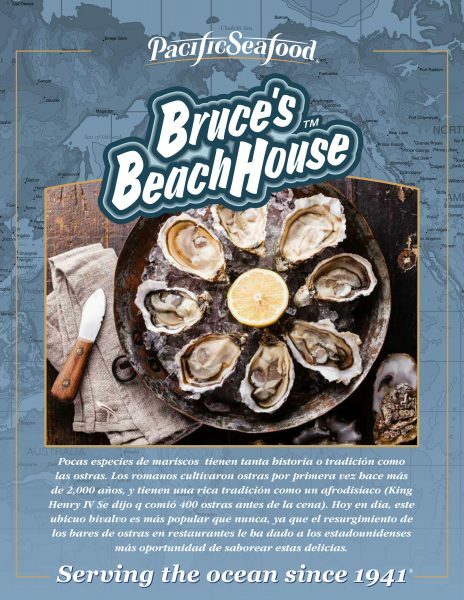 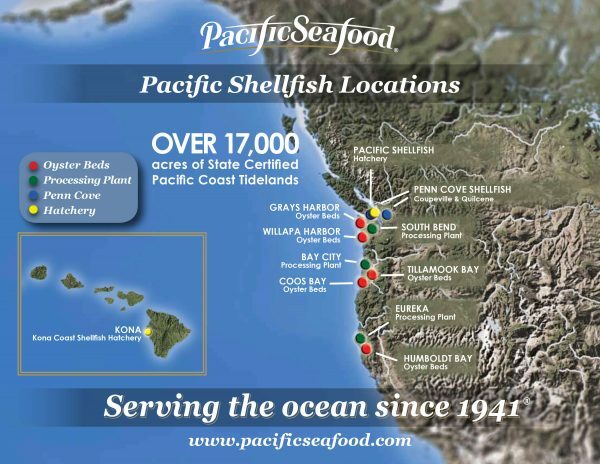 Pacific Seafood is a proud provider of the best oysters in the industry. 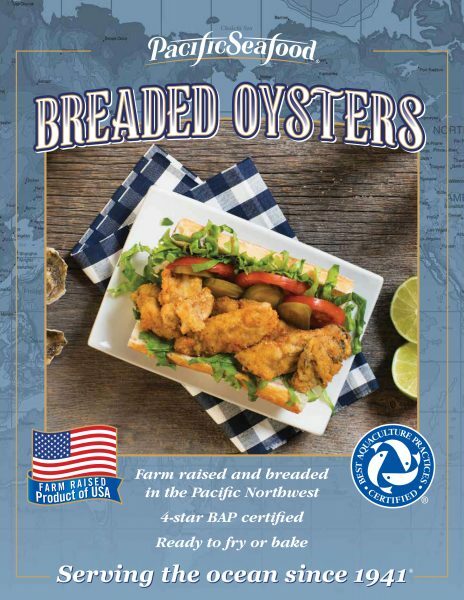 Our sustainable oysters grow up under the watchful eye of our farmers from our hatcheries in Quilcene, Washington and Kona, Hawaii, to the beds in the pristine waters of the Northwest on one of our 16,000 acre farms located in Washington, Oregon, or California. Not only do we use state of the art harvesting methods, but we are very careful with how our product is handled in regard to time and temperature, ensuring the freshest product on the market. 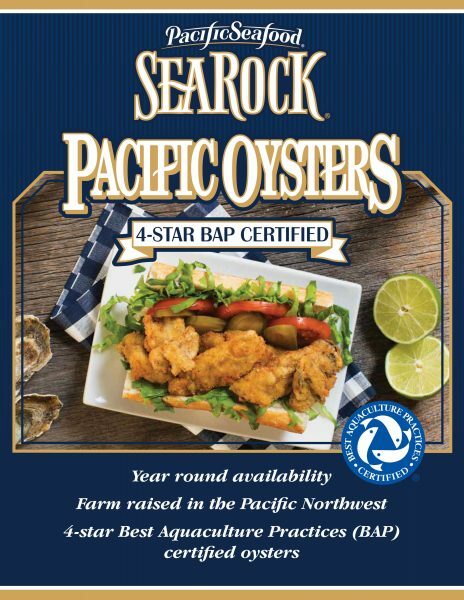 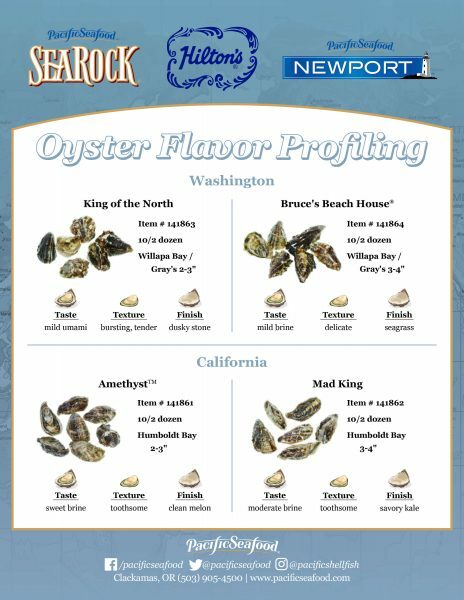 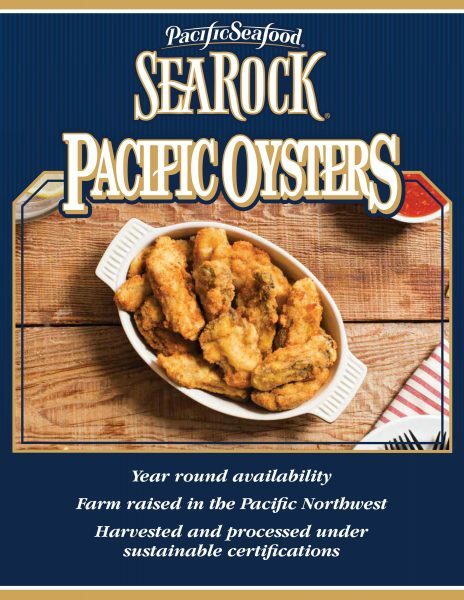 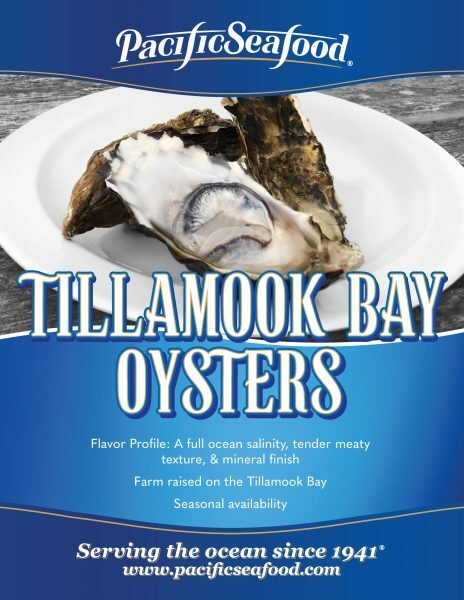 Pacific Seafood oysters are full-bodied and firm, low in fat, calories, and cholesterol and high in protein, iron, omega-3 fatty acids, calcium, zinc and vitamin C. We provide a full selection of sizes and taste profiles to satisfy even the most refined palate.